While we were in Mississippi, we stopped and had lunch at our favorite thai restaurant, Thai House. Will and I went on one of our first dates here many years ago, and love to pop in for a bit to eat whenever we are in town. 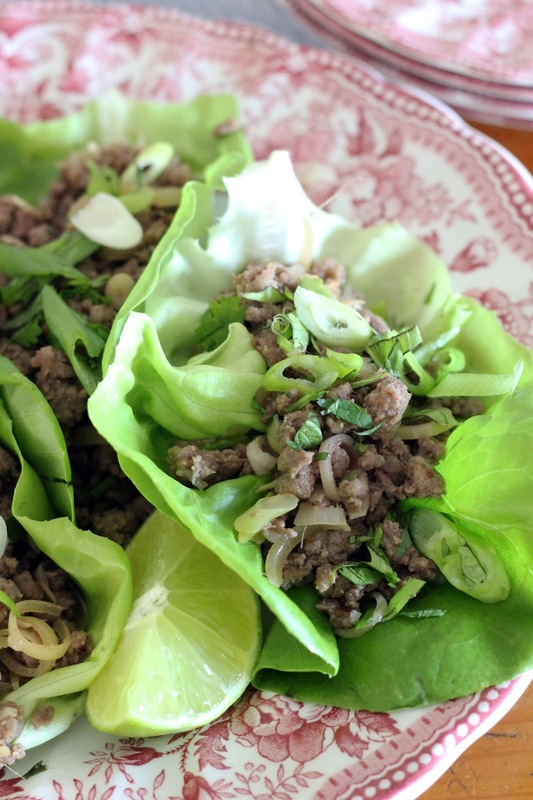 Their red curry is my favorite dish, but this time I stepped out of my comfort zone and ordered the larb. It was an unexpectedly flavorful dish that I knew I had to recreate at home. 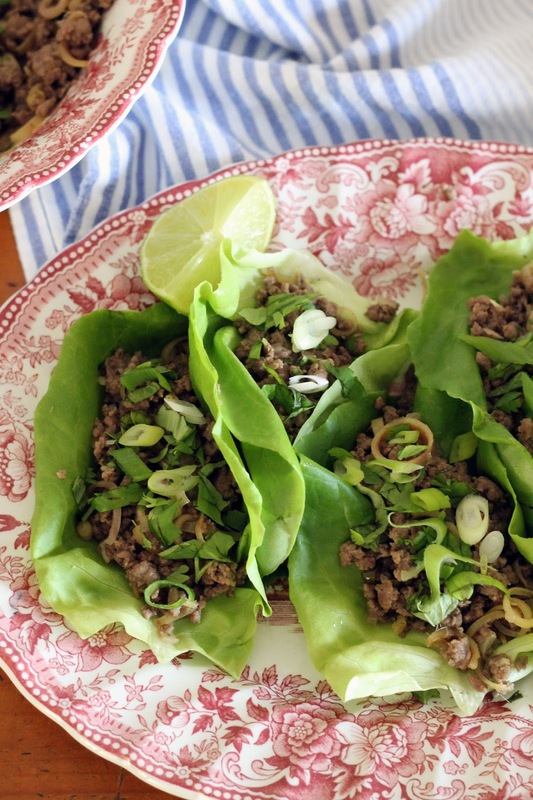 It is typically made with chicken, but I used ground beef because that is what I had on hand. 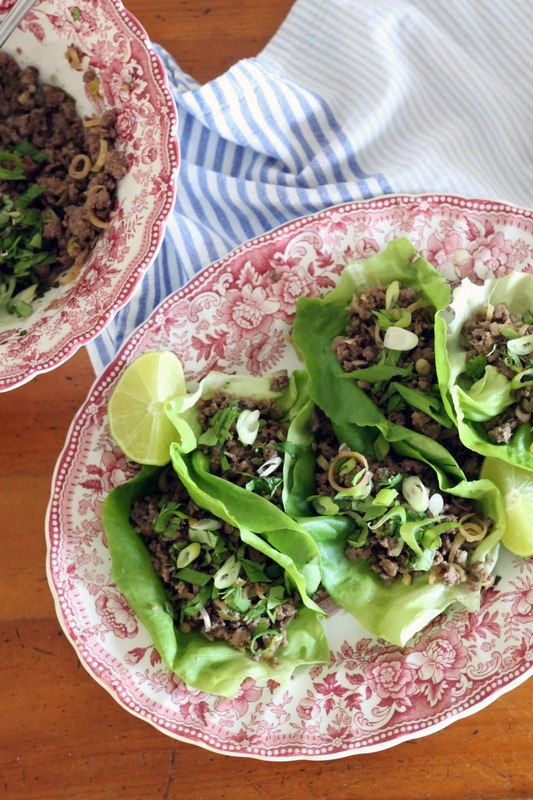 Serve it over rice for a more filling meal, or in lettuce wraps for a lighter effect. Whisk fish sauce, sugar, soy sauce, sesame oil, and lime juice in small bowl. Set aside. Heat a non-stick skillet over medium low heat. Add vegetable oil and saute shallot and lemongrass until translucent (about 4 minutes). Add garlic and thai chili and saute for one minute. Add ground beef and break up meat with a wooden spoon until finely minced. Once ground beef is almost fully cooked and sauce and simmer until sauce is absorbed. Remove from heat and stir in fresh herbs. 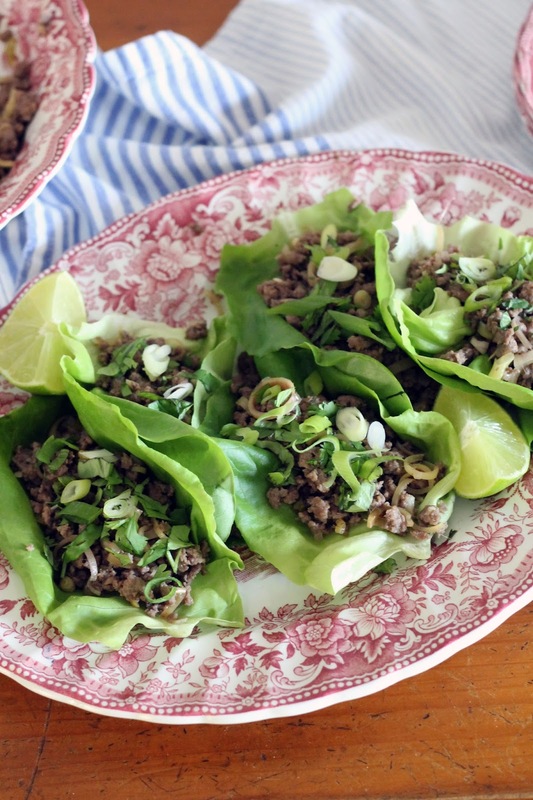 Serve at room temperature over rice or in lettuce cups.